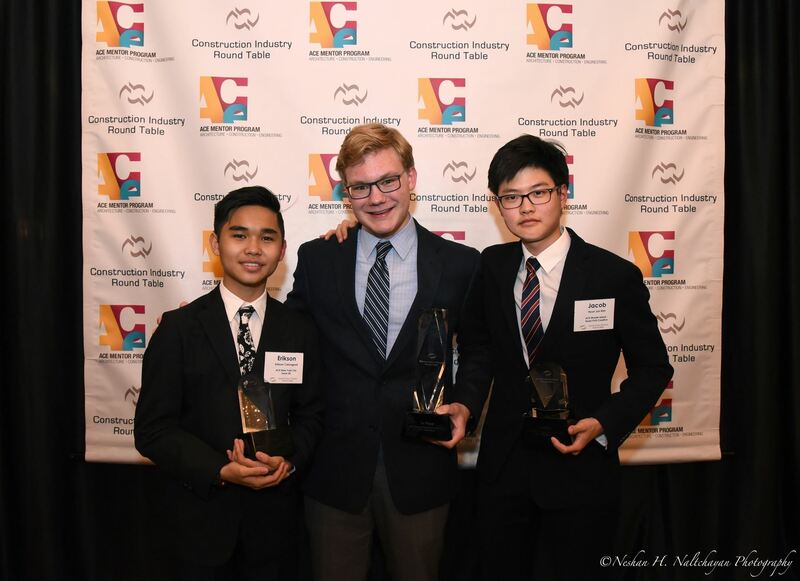 WASHINGTON, DC – April 27, 2017 – Three teams of high school students from Chicago, IL; New York City; and Providence, Rhode Island faced off in Washington, DC before a jury of construction and design industry CEOs at the finals of the 11th Annual CIRT National Design & Construction Competition sponsored by the Construction Industry Round Table (CIRT) with the ACE Mentor Program of America. The final presentation phase of competition among three well-prepared teams was a spirited, highly-anticipated event taking place on the afternoon of Monday, April 24th in Washington, D.C. While all three teams did an excellent job in presenting their entries, only one could claim the title of “National Champion” which went to ACE Mentor Program of Chicago: Team 6 for their entry: “Cultural Museum of Chicago at the Old Post Office”. The winning team received a $5,000 prize for their Affiliate, but more importantly bragging rights for a year as the preeminent mentor team in the country. Second and third place received $3,000 and $2,000 prizes respectively for their Affiliates as well, which were: ACE of Greater New York City: Team 30 for their entry: “Queens Quarters”; and ACE Mentor Program of Rhode Island: PVD Creative for their entry: “Presidential Library & Museum”. 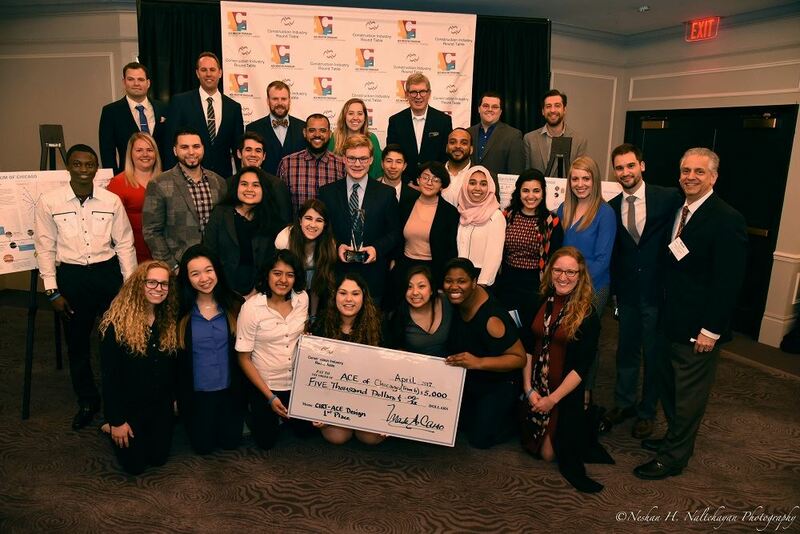 "The energy, enthusiasm, and passion the three national finalist teams brought to the program made it a very special and memorable event; one we were very pleased to host on behalf of the entire design and construction community. If this is any indication of the kind of character and diversity we are attracting to our ranks, then the future of our industry will be in good hands!” stated Mark A. Casso, Esq., NAC, President of CIRT.